Situated on the scenic Gulf Coast of Texas, Port Bolivar offers spectacular seaside vistas along with affordable homes and superb attractions and amenities nearby. A destination for families, commuters to Houston and vacationers alike, Port Bolivar’s breathtaking location and outstanding quality of life attract many new residents each year. Port Bolivar TX real estate enjoys low prices and strong value and can be found in a wealth of choices, including waterfront vacation homes. With its modest cost of living and coveted quality of life, Port Bolivar is a great place to live, work, vacation or retire. Port Bolivar real estate offers quality homes at affordable prices and includes starter homes, single-family homes and waterfront homes with beautiful views all around. No matter who you are, Port Bolivar properties have the quality, value and affordable interest rates that you’ve been looking for. The city was first established in the 1800s and grew steadily as a port and later a tourism destination in the 20th century. It boomed during and after World War II, attracting many new families and workers to its livable neighborhoods and strong local economy. Today it is one of the most desirable cities in the region, known for its scenic waterfront views and exceptional attractions nearby. Port Bolivar offers a wealth of beautiful beaches to explore as well as the scenic Fort Travis Seashore Park as well as fishing at the mile long North Jetty or birding at the Bolivar Flats. Leisure and recreational activities such as surfing, swimming, boating, fishing, water sports and biking are all very easy to find in this seaside city. Port Bolivar's surrounding communities host a wide variety of great attractions to discover. In addition to its elegant beaches and wealth of outdoor activities, the city also holds attractions like the Bolivar Lighthouse, free ferry and bird rich Bolivar Flats. It also offers convenient proximity to Galveston and its rich variety of museums, parks and beaches as well as to Houston and its world-class collection of attractions and visitor destinations of every sort. Local events and activities on Bolivar Peninsula include the Jane Long Festival at Fort Travis, Crystal Beach Crab Festival, Mardi Gras Parade and Christmas Parade in nearby Crystal Beach. All the attractions of Galveston are just a free ferry ride away. Homes for sale in Port Bolivar and real estate in Port Bolivar offer plenty of superb choices at affordable prices. Those looking into becoming a Port Bolivar home buyer will not be disappointed thanks to the city’s prime location, high livability and affordable real estate options. 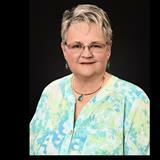 Contact Mary Ellen Smith today for assistance with Port Bolivar TX real estate.